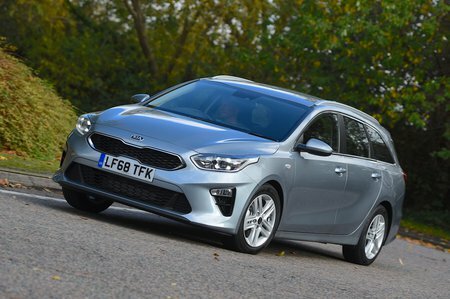 Kia Ceed Sportswagon Performance, Engine, Ride, Handling | What Car? The cheapest petrol engine is a 1.0-litre turbocharged three-cylinder that provides the sort of pace most buyers will find adequate, even on the motorway. Just bear in mind that it does need plenty of revs to get up to speed. 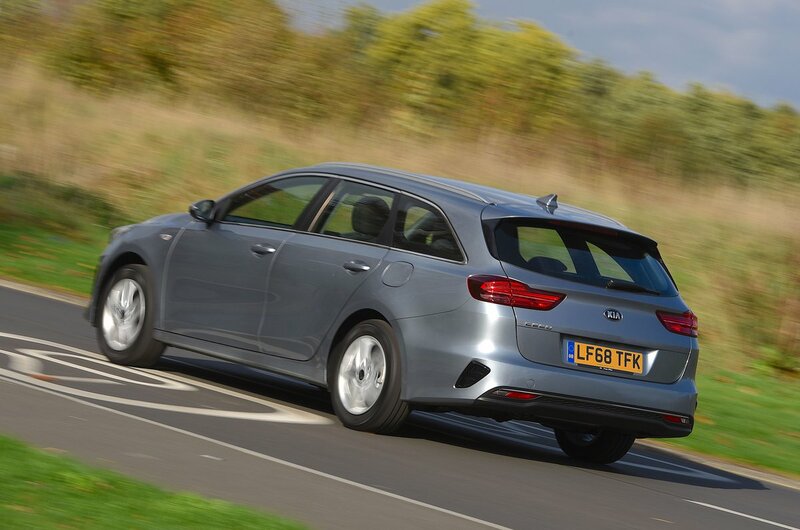 This limited low-down shove is likely to be all the more noticeable when the Ceed Sportswagon is heavily loaded, whereas the other petrol option – a 1.4-litre turbocharged four-cylinder – makes it easier to hang with the ebb and flow of traffic without the help of frequent gearchanges. The final engine is a 1.6-litre diesel which pulls eagerly from all but very low revs. So, while it’s ultimately no faster than the 1.0-litre petrol, it is worth considering if you do enough miles to justify its higher purchase price. 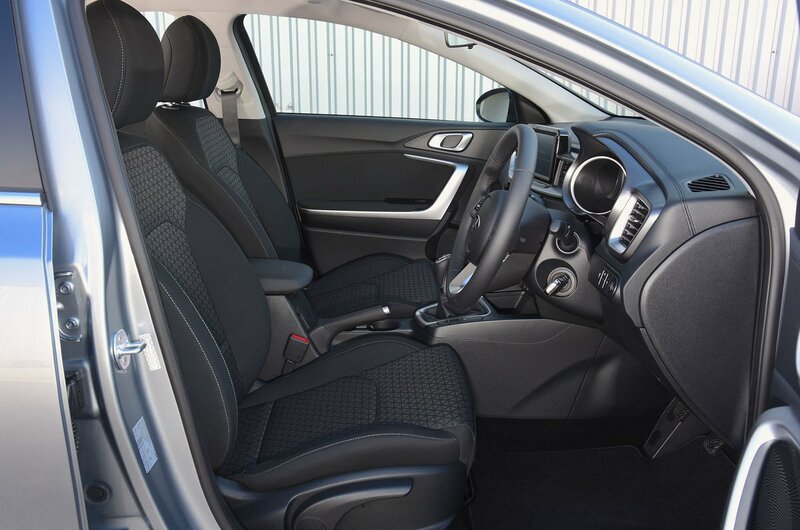 If comfort is your top priority, you may want to strike the Ceed Sportswagon from your list and instead look at the Ford Focus and Volkswagen Golf estates, both of which are more compliant. It’s not that the Ceed will rattle your fillings out; in fact, it actually copes pretty well with patched-up urban streets. However, on the motorway it feels rather restless. Quick steering gives the Ceed Sportswagon a lively turn-in to corners, and that gets you thinking it's a pretty well-sorted car. And up to a point this is the case. Push harder, though, and you'll find the steering is nowhere near as feelsome as the Focus’s, nor as progressively weighted as the Golf’s or Skoda Octavia’s. The upshot is you feel a little less confident in placing the Ceed accurately in bends. In addition, while the Ceed flows nicely along a country road at seven-tenths pace, if you enter a corner a bit too fast it’s not particularly well tied down at the rear. As a result, it has to rely quite heavily on its electronic safety aids, and making an emergency lane change can feel quite alarming. Wind noise is well controlled at all times, but you have to put up with quite a bit of tyre roar at higher speeds, particularly from the rear of the car. Go for the 1.0-litre petrol engine, and you’ll also feel vibrations coming back through the pedals and steering wheel, whereas the 1.4 petrol and 1.6 diesel are smoother and quieter, partly because you don’t have to work them as hard. Sadly, a hair-trigger accelerator means you have to concentrate to avoid jerky getaways, and the manual gearbox could be slicker.